You might be considered a rising star around the office, but do you think of yourself as a superhero? Probably not. However, there are some fantastic life lessons embedded in one of the most successful entertainment trends to date. There’s an enduring appeal to watching individuals surmount universe-threatening challenges with nary a scratch. As is the case in every lasting success, there’s a formula. A staple of the superhero fare is the scene where the hero discovers that they have some ability key to transcending their circumstances. In real life, it can be much harder to identify your gift. Recognize that your talent may not be obvious; perhaps you’re a spreadsheet wizard, the talented proofreader with a knack for design, or the one who can always rally the team to push through a tough assignment – potential manifests in a variety of forms and can be difficult to identify in yourself. Asking coworkers and supervisors where you excel and using personality/career tests are good ways of finding your strengths. Once you’ve locked in on a competitive advantage, keep honing it! Test it out in extracurricular settings, like your side hustle or in a volunteering context. A growth mindset is important in mastering your skills – even Iron Man’s first several suits were essentially duds. While we’d all love the ability to work at superhuman speed and squeeze a few more hours into the day or teleport right through that annoying commute, the power to change your life is within reach. For the role of Star Lord in 2014’s Guardians of the Galaxy, actor Chris Pratt purportedly trained a grueling 6 days a week and forsook all fun foods, dropping 60 pounds! There’s certainly no need to get this extreme, but introducing a smart diet and exercise into your regimen can help provide the energy needed to sustain your feats of incredible productivity. A recent study from the University of British Columbia found that just 120 minutes a week can boost your memory and critical thinking ability, in addition to the known cardiovascular benefits. Carving out a few hours a week for a kickboxing class or a jog around the neighborhood will do wonders for your focus and energy. I suggest making antihero Deadpool’s catchphrase “Maximum Effort” your mantra with these activities. The Avengers, the Justice League, The X-Men – every classic hero franchise is built around a team. Why? It works. Finding allies with abilities that complement yours increases your capacity to handle workplace challenges; Google found that the trust created in high functioning teams increased individuals’ confidence in taking the kind of risks that can be career defining. It can be daunting to reach out to someone you don’t know well, but the payoff is clear. Since it takes 50 hours to convert an acquaintance into a casual friend, you’ll find office relationships are built much more on routinely rescuing cats from trees than derring-do. Conduct a little research on your colleagues’ interests and schedule a lunchtime coffee date or invite them to a weekend activity. 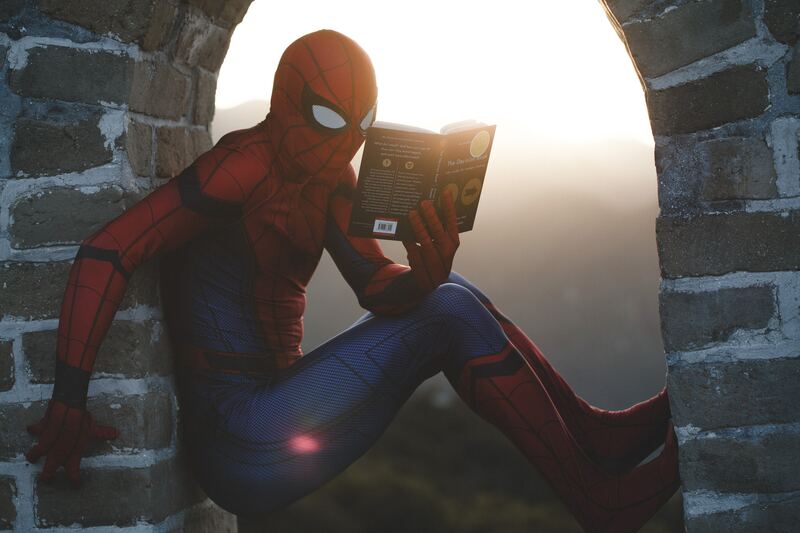 Even if they don’t join your official hero roster, there’s proven value that even “weak ties”, individuals you are lightly connected to, are critical in exposing you to new information and opportunities. Together you’ll be able to defeat projects, ahem, villains that would have been impossible separately. Good news Clark Kent! Employers are increasingly encouraging employees to bring their “whole selves” to work. That said, it’s important to draw boundaries between your home and work life to avoid burnout. Set aside time to mentally refresh with an activity you enjoy, so you can enter the office ready to be super every day.